Wine is one of man’s oldest carnal pleasures and passions. From Bible times until present, a good glass of wine has brought joy to the soul and even health benefits. In comparison to the centuries of wine cultivation by organic means, modern farming techniques such as tractors, the use of chemicals to control pests, and even bioengineering, have played a small role. The Israelites of ye’ olde were not exactly rolling around in a King David 4000 (patent pending) spraying for mealy bugs. They were by default “organic” and therefore “green” operations. So it should be no surprise that wine can be made and in fact very good wine, with a much smaller impact on the environment around it. 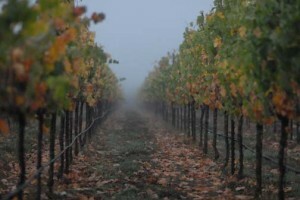 A vineyard is in its nature more environmentally friendly than many other crops. How so? For one, a vineyard once planted has a good chance of staying planted and thus preserving open space. The environmental impact of a crop that must be uprooted and replanted seasonally, or even multiple times a seasons, will require greater carbon emissions to do so and will render the habitat almost useless to local wildlife. An orchard might do better, requiring less effort year to year to maintain and a more useful space for some wildlife. However, there is a second reason vineyards often stay vineyards while other farmed land gets developed: value. Just look at the sale price for recent properties in popular areas like Napa Valley. With a vineyard potentially valued in the millions, it is unlikely in most cases it will be uprooted to make way for track homes or a strip mall. In comparison, other long-term produce such as oranges and avocados have been ripped out by the thousands of acres all across California to make way for development. Why? Because, the land is simply worth more as homes or retail space than it is as farmed land. It’s no wonder that wine country is some of the most beautiful we have in California as it is some of the best protected from large-scale development. Now to be fair, wine is not a magic crop. Land development of any kind is still land development and while a vineyard might provide some habitat for local wild life, there is an ecological price to be paid. But today, in increasing numbers, there are many in the wine industry going out of their way to soften those effects and use their vineyards to benefit both the wine consumer and the habitat they occupy. In the next few weeks and months, I hope to present the case for environmental sustainability in wine. I have enlisted the help of some top wine producers, as well as some up and coming wineries. This week we have such pioneer in vineyard sustainability and green practices. Anaba Wines recently enjoyed a small bit of fame for an innovative addition to their Sonoma County winery. In fact, in the month of January, article after article, from Wine Spectator and others, could be found online, all focusing on Anaba’s biggest fan. No, not Robert Parker (although I hope he is a fan), but their new 45′ tall wind turbine (fittingly, Anaba was named for the anabatic wind patterns that persist in their part of the county). 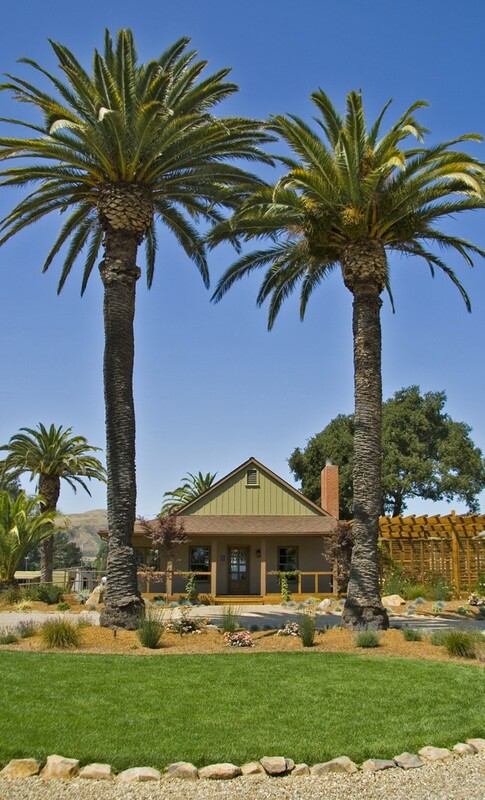 The wind turbine is a first for a Northern California winery, but certainly not the last. The singular turbine is just a start to an environmental effort that will one day include a solar array and the possibility of more wind turbines for Anaba. In addition to applying state of the art wine making processes and integrating environmentally sustainable practices into their winery, Anaba is utilizing social media to stay in touch with existing customers and to attract new ones. Anaba is harnessing the winds of change. Anaba’s proprietor, John Sweazey, got his start in sales and marketing, an interest that drives him today. To John, “the romance of wine” lies not only in it’s creation, but the ability to successfully market and sell it. A trip to Napa with his Stanford fraternity brothers sparked his interest in wine and a nine-month sabbatical later in life, including time spent in the Burgundy and Rhône regions of France, added fuel to his interest. In 2003, John sold an estate finance company he started in the Bay Area and eventually purchased property in the Western Carneros region of Sonoma County. It was an ideal location to produce the Burgundy and Rhône varietals he had fallen in love with while in France. John enlisted the help of Jennifer Marion as Director of Winemaking & Vineyard Operations. A graduate with a degree in Viticulture and Enology from the University of California at Davis, Jennifer approaches wine with a get dirty attitude, saying “you cannot trust a winemaker with clean shoes and soft hands.” Jennifer brings a love of the vineyards to Anaba, a love she cultivated during her time with Napa Valley-based Crop Care Associates. I asked John and Jennifer what they thought about some current trends in wine and why sustainability makes sense for them. You have an extensive background in sales and marketing, so why trade that for wine? Cabernet is still the workhorse of American wine. With Rhône varietals increasing in popularity, do you ever see that changing, or will Napa always be the big kid on the block? Increasingly, wineries are promoting sustainability in their wine making process, even using it for marketing purposes. Are “sustainability” or “being green” just buzzwords in the industry, a hot trend, or is it the future of grape growing in California? You promote a hands on, get dirty, approach to vineyard management. Is there one aspect of wine making you most enjoy? 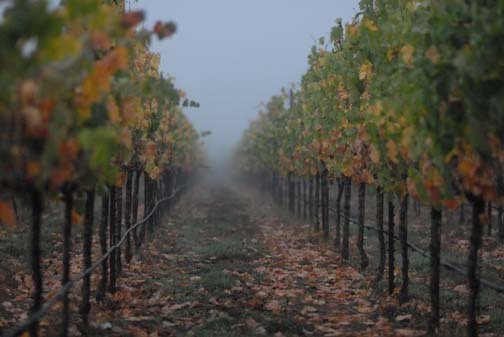 The winds of change come often to the wine industry and while it is too early to predict how the recent economic times will change wine in the long run, progressive wineries will be right there to make the most of it. Anaba might not be on the typical list of Sonoma or Napa wineries to visit, but they should be. They would love to have you come by for a glass, or two. OPEN DAILY 10:30AM TO 5:30PM. Last tasting at 5:15pm. Current Production: 4,500 cases including Pinot Noir, Chardonnay, Viognier, Port, and several blend wines.